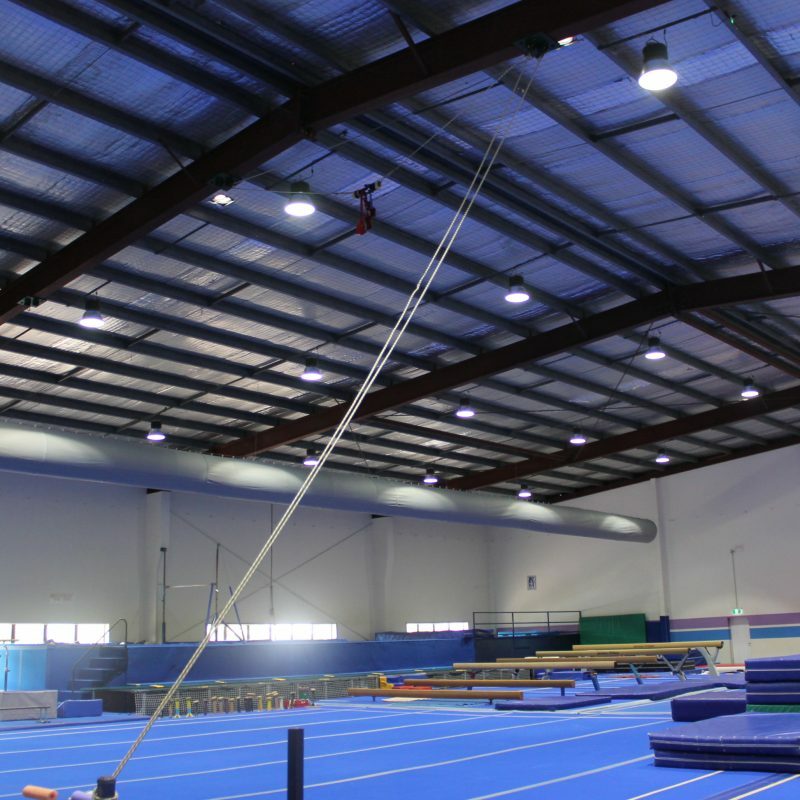 Robertson Gymnastics Academy runs programs from ages 2 and up, catering to beginners through to elite level gymnasts. 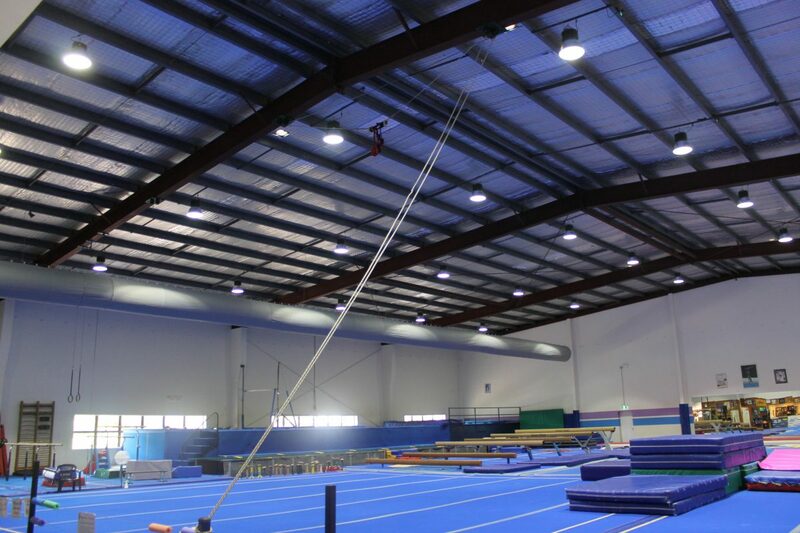 They are also the Number 1 Acrobatic Gymnastic club in QLD. 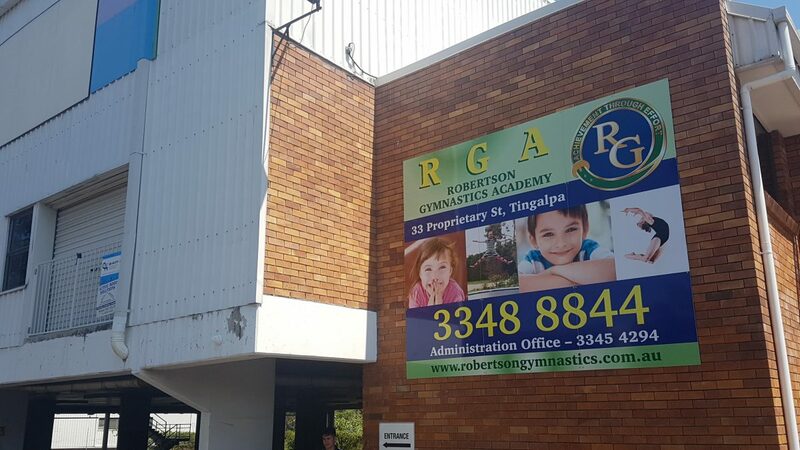 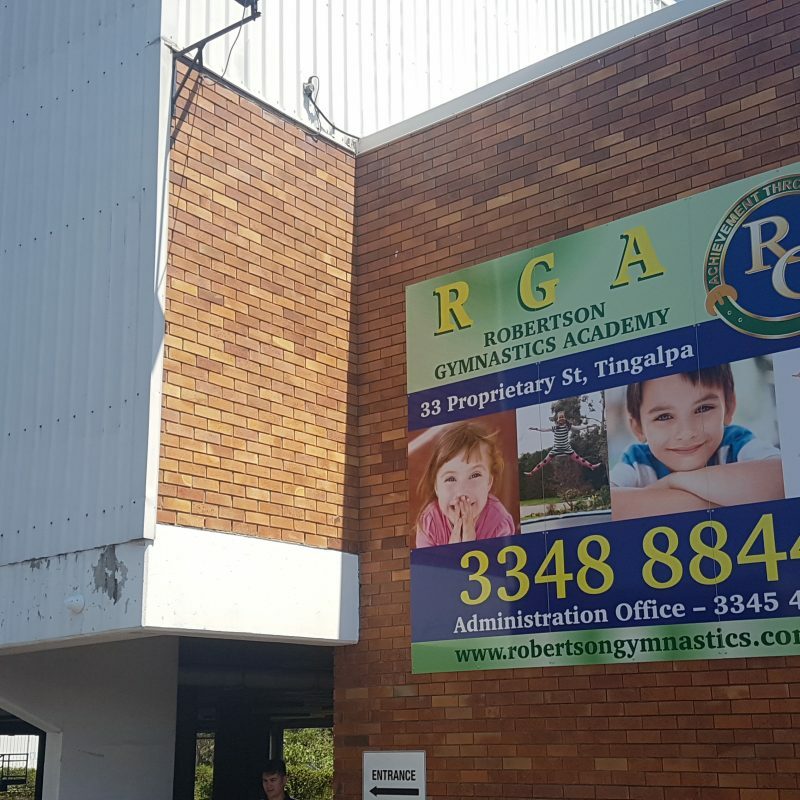 The owners of Robertson Gymnastics were presented with an offer to reduce power consumption and increase brightness for their students to learn under with Conservergys’ energy saving solution. 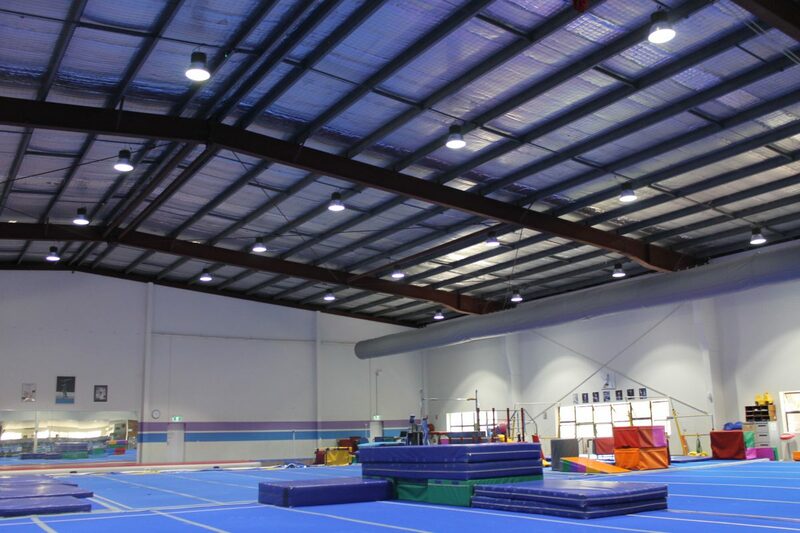 The premises was originally fitted with 60 HID High Bays consuming approximately 440 watts of energy per light. 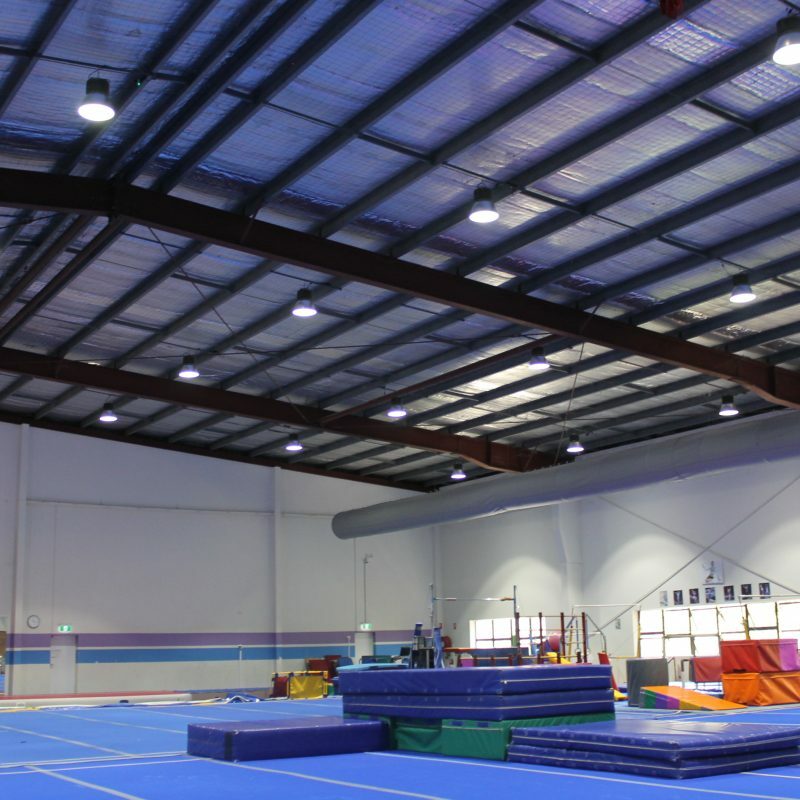 Based on calculations made by our energy consultant during the clients’ free energy saving audit, the owners were using approximately 45,900kW annually on lighting alone. 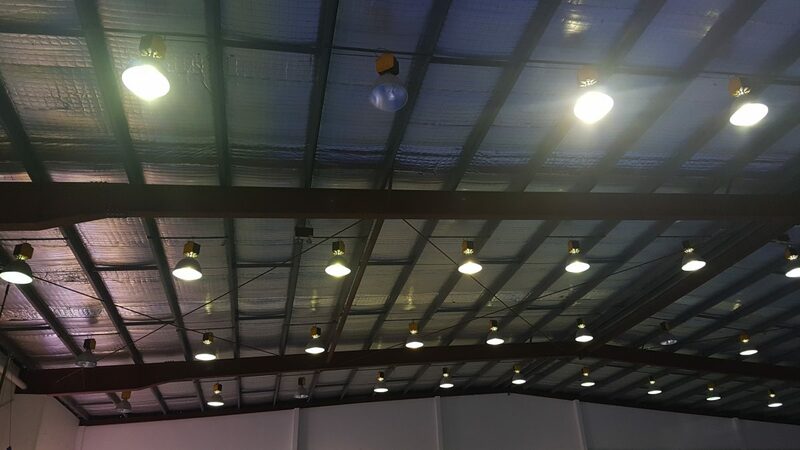 The existing fittings were low in light and as some were not operating there were mismatched and dull spots throughout the area below. 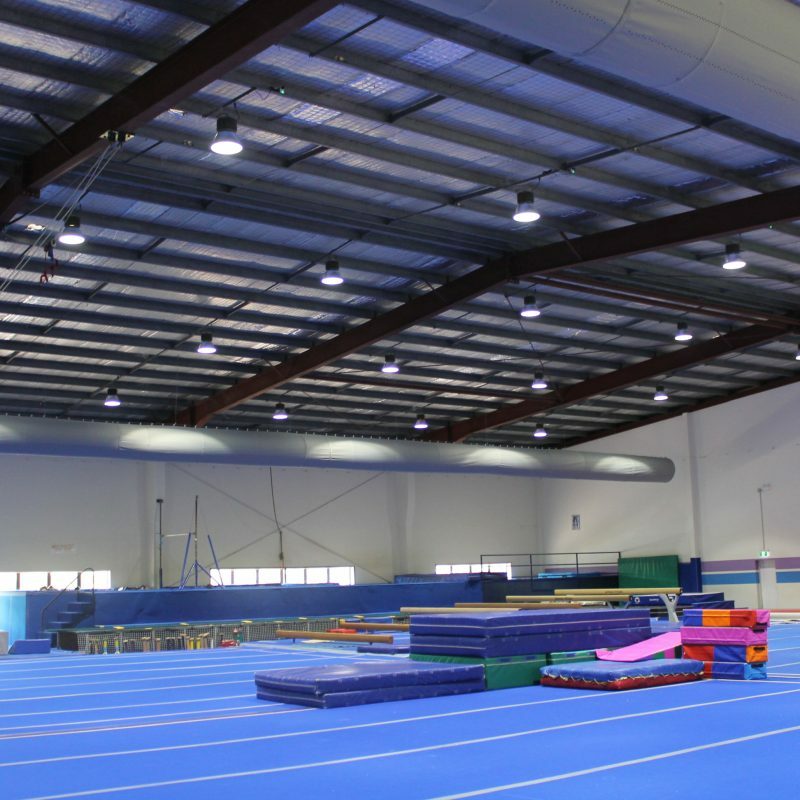 Our energy saving consultant Nigel, visited the premises and conducted a free, energy saving audit. 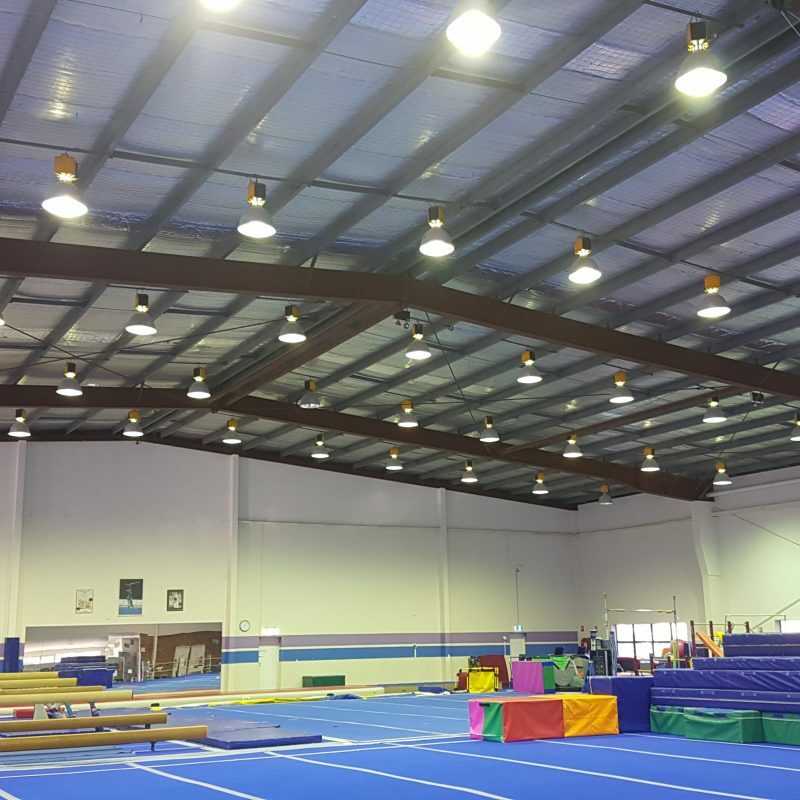 After inspecting existing fittings and the existing energy usage, the owners were using approximately 45,900kW annually on lighting alone. 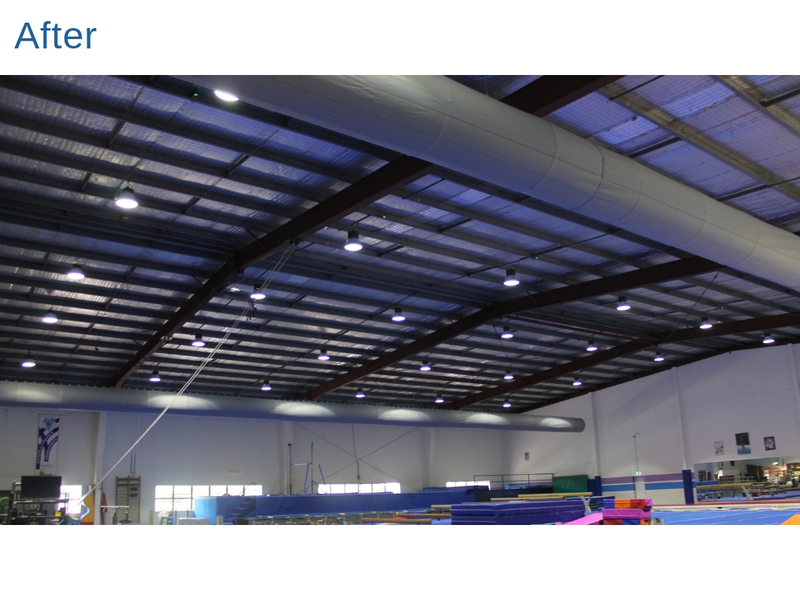 Not only was this energy consumption outrageous, but there were also drastic improvements to be made to the area’s dull lighting atmosphere. 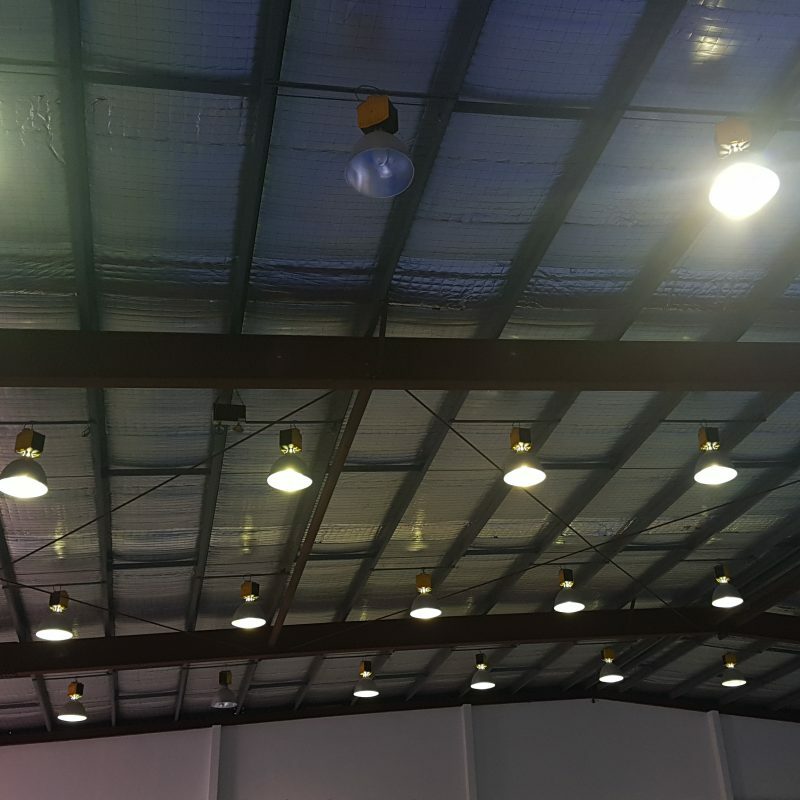 The team from Conservergy then began preparing a personalised energy saving proposal for this client which involved supply and install of all 38 LED High Bays and additional external fittings. 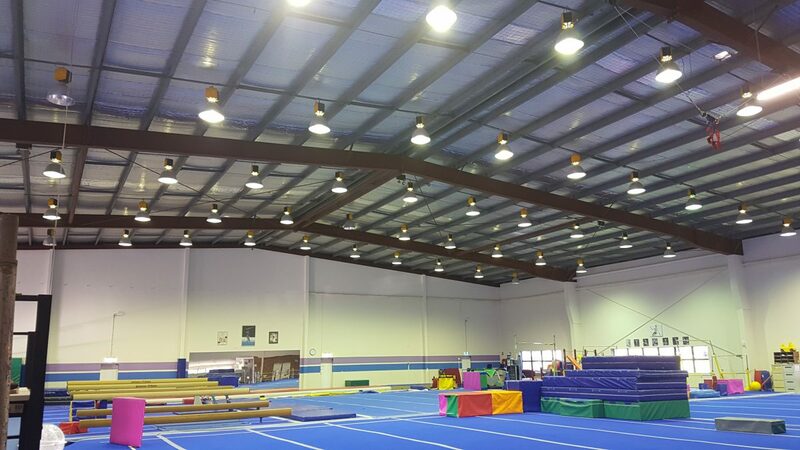 Conservergy supplied and installed in total 38 LED High Bays and 3 LED Flood Lights for this project. 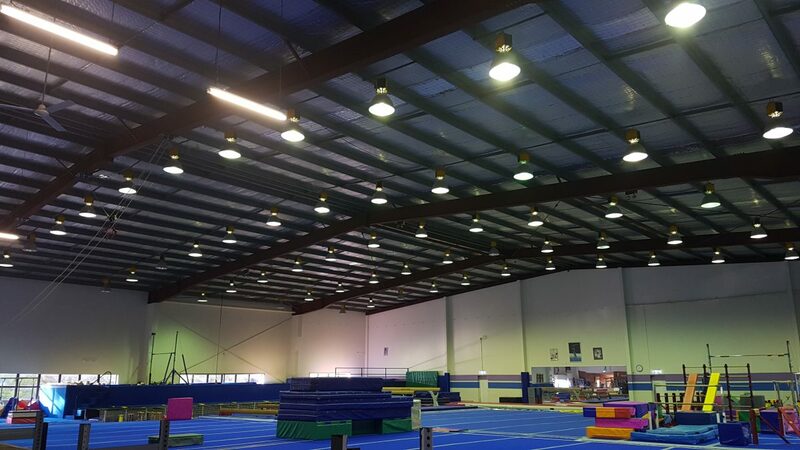 Within a week, working to the companies opening hours and no disruption to the client and their customers the new LED’s were strategically installed around the ceiling. 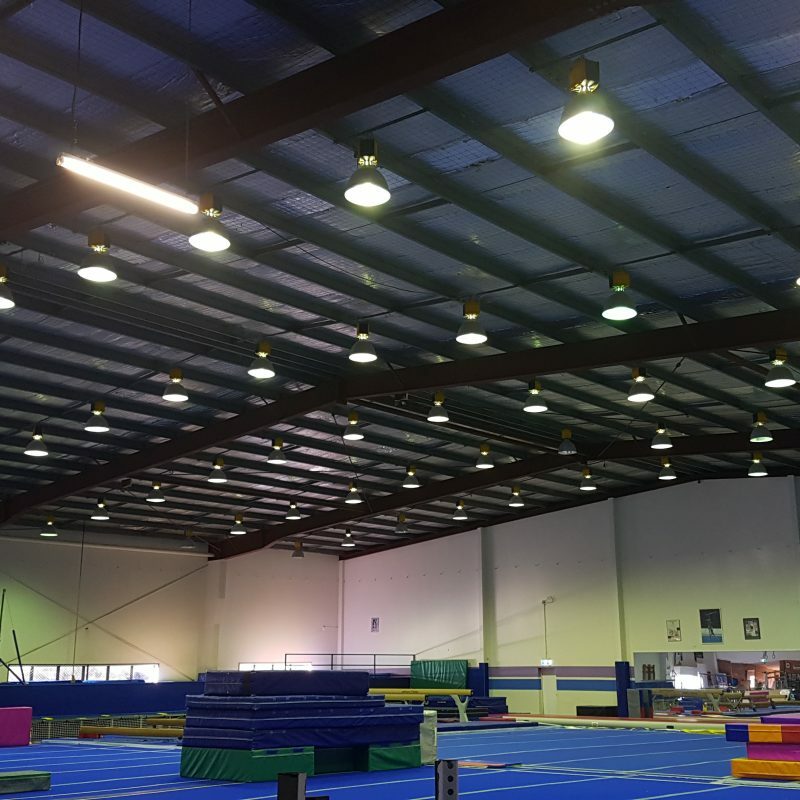 This install reduced the clients overall energy consumption by more than 77% and will now see the energy usage drop to approximately 10,550kW. 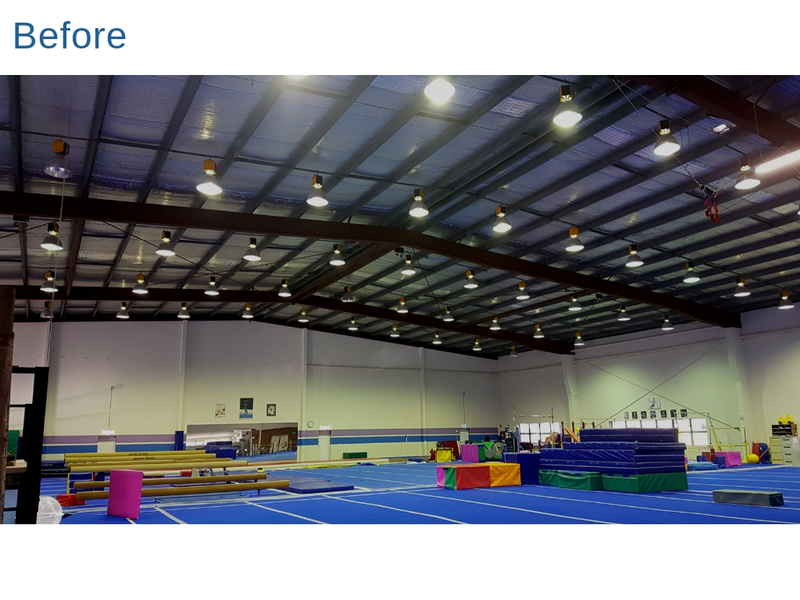 Conservergy was so proud to be apart of this retrofit. 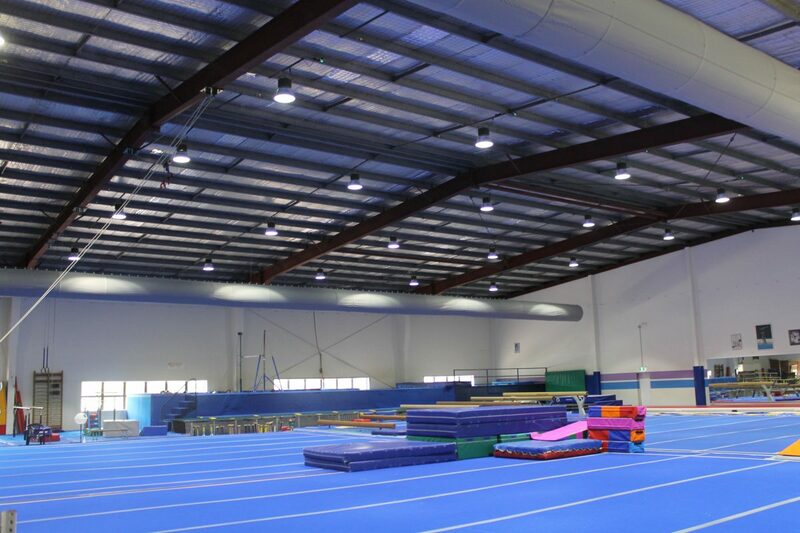 Conservergy supplied Robertson Gymnastics with a range of our very best products.